Running a martial arts school requires a lot more than opening a facility and then waiting for interested parties to walk in and sign up. Just like any other business, in order to be successful, school owners must understand the value of marketing. A business can only be successful if potential customers know that it exists. However, there are number of marketing best practices to follow that can help grow your martial arts school. When consumers are interested in a product or service, they conduct research to uncover the potential value before committing. These queries can come in the form of emails, phone calls or requests for additional information online. Regardless of the incoming method, it’s important to never leave these requests unanswered. 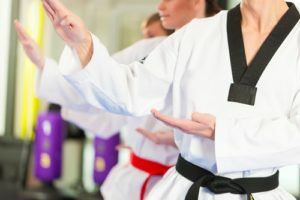 Martial Arts Business Daily quoted Bryan Eisenberg, a conversion consultant for Fortune 500 companies, explaining how a failure to respond to a potential lead with the first hour of the request decreases the value of the service by as much as six times in the eyes of the potential customer. It’s worth understanding that with respect to the martial arts industries, people interested in becoming students have many options to choose from. There are many different schools specializing in various disciplines of martial arts, such as karate and Taekwondo. If you allow a potential lead fall to the wayside, it’s likely another competitor will swoop in and steal your business. This can result in a lost sales opportunity that may never come back. Being too busy to focus on certain business areas is one thing. Putting them off in favor of activities that don’t contribute to revenue generation is a different animal entirely. Procrastination actually works against those who practice it, and it’s a habit you should avoid at all costs if you’re trying to run a successful martial arts training business. FightingArts.com suggested always doing what is right for the betterment of the business. Be aggressive in critical business areas such as promotion and advertising to achieve success. Failure to do these things could result in running a school that is realizing a fraction of its potential. A martial arts school can offer a rewarding experience for students and instructors. However, it’s important to understand that the business aspects are just as important as the training itself.